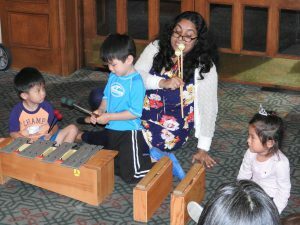 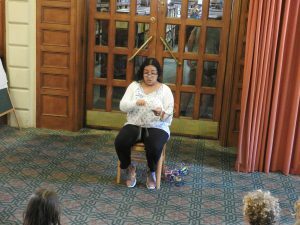 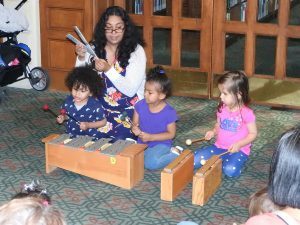 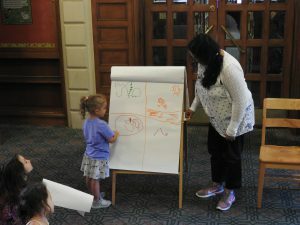 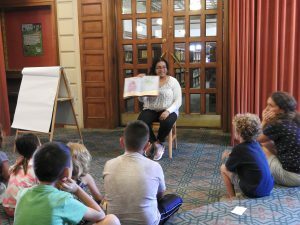 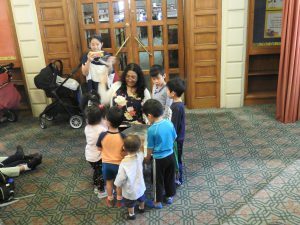 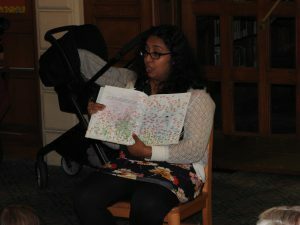 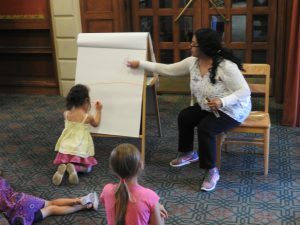 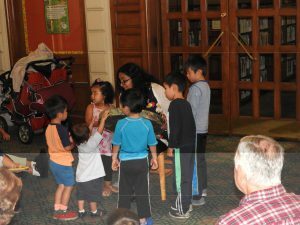 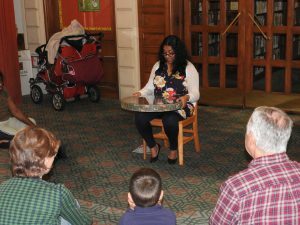 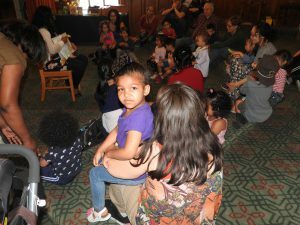 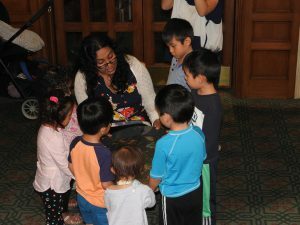 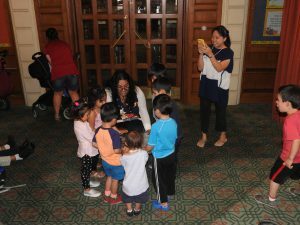 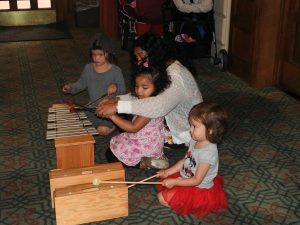 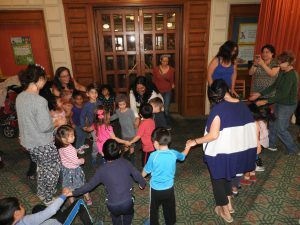 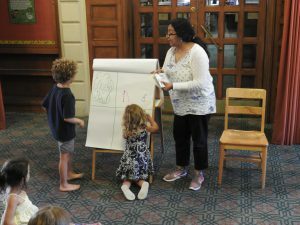 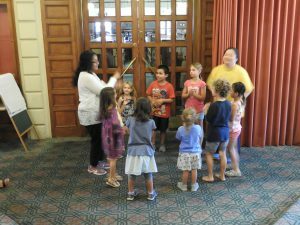 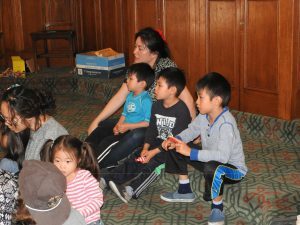 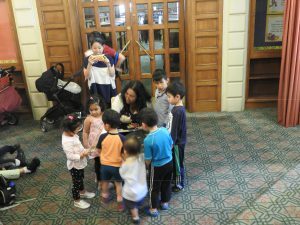 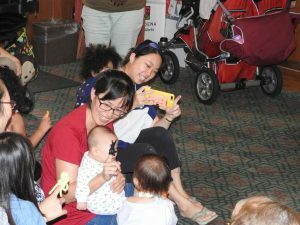 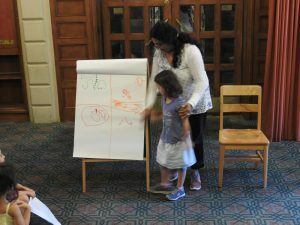 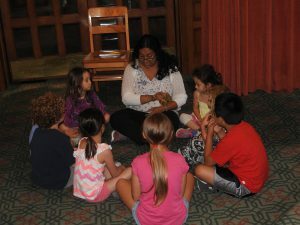 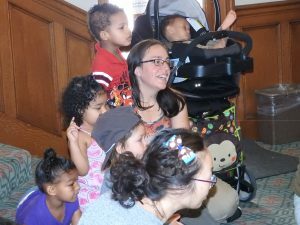 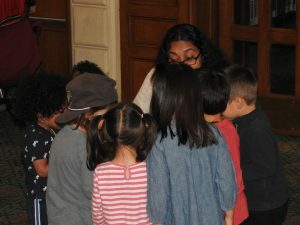 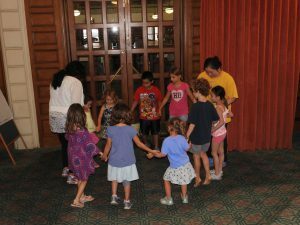 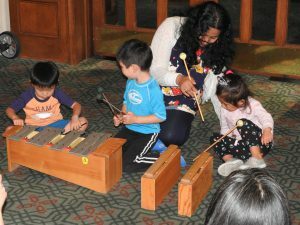 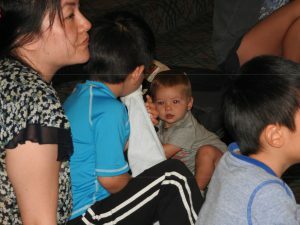 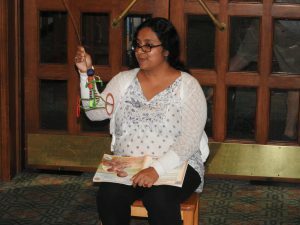 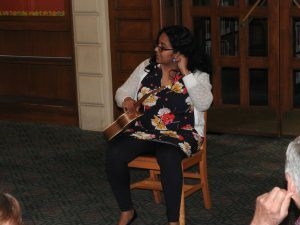 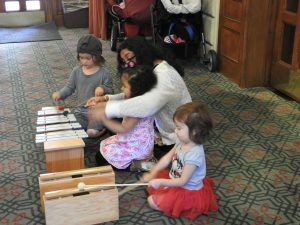 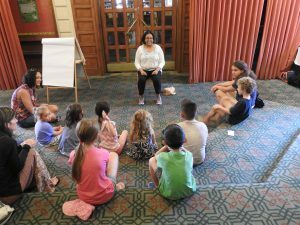 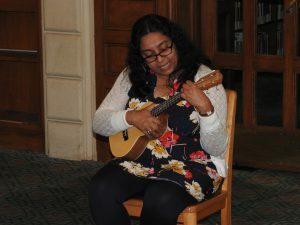 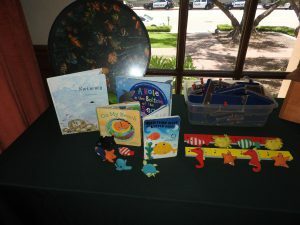 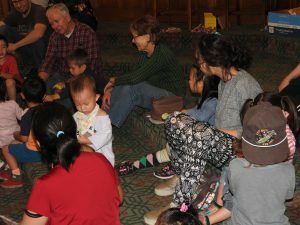 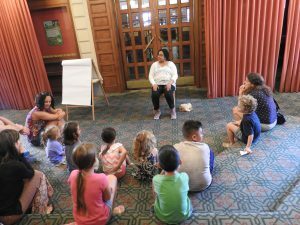 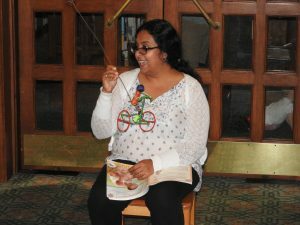 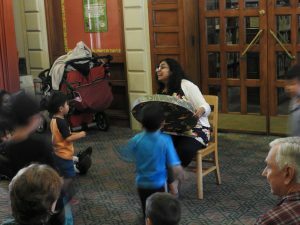 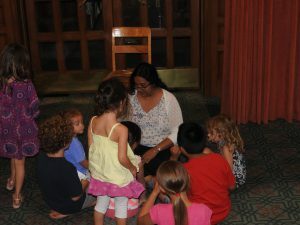 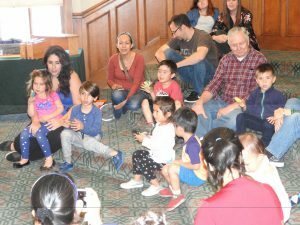 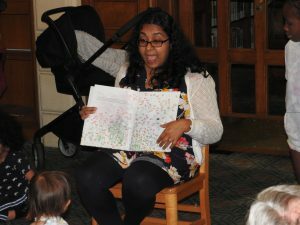 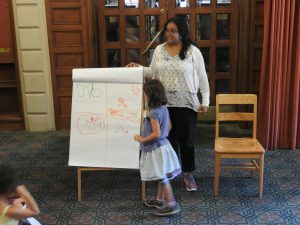 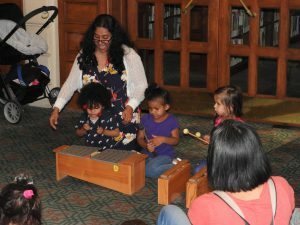 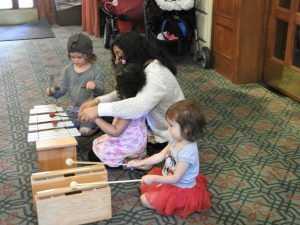 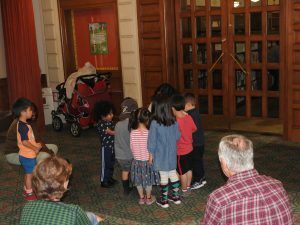 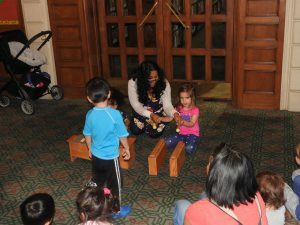 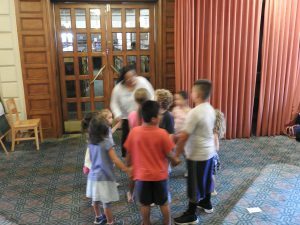 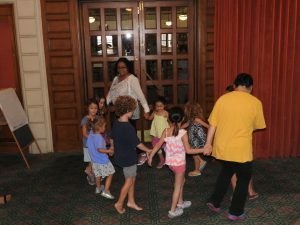 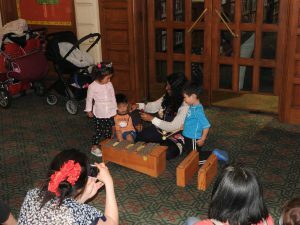 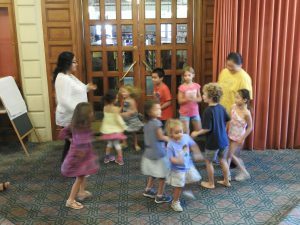 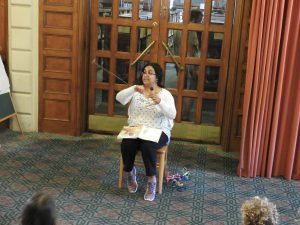 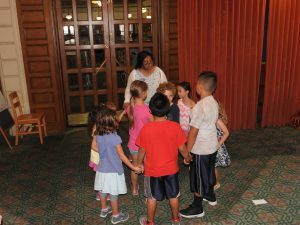 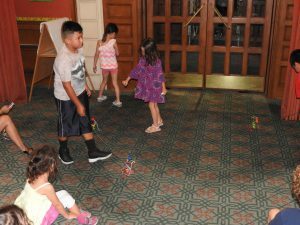 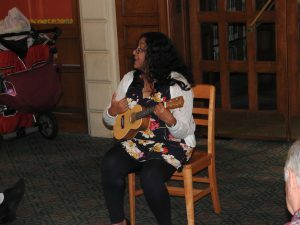 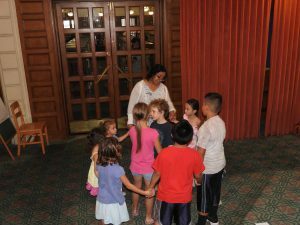 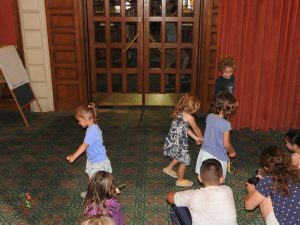 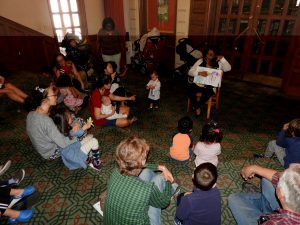 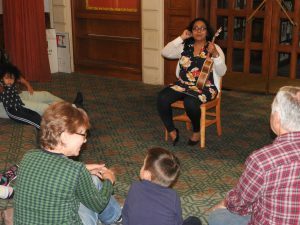 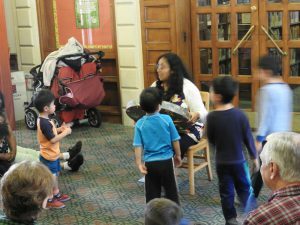 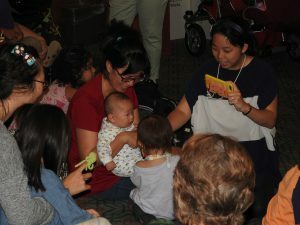 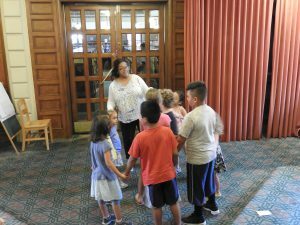 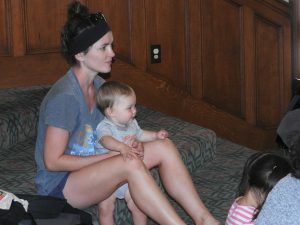 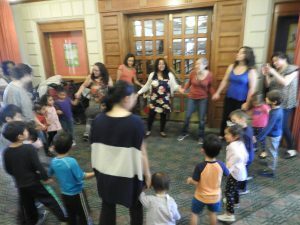 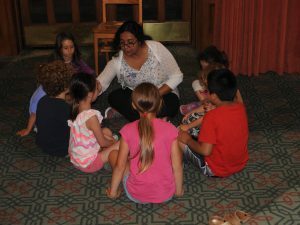 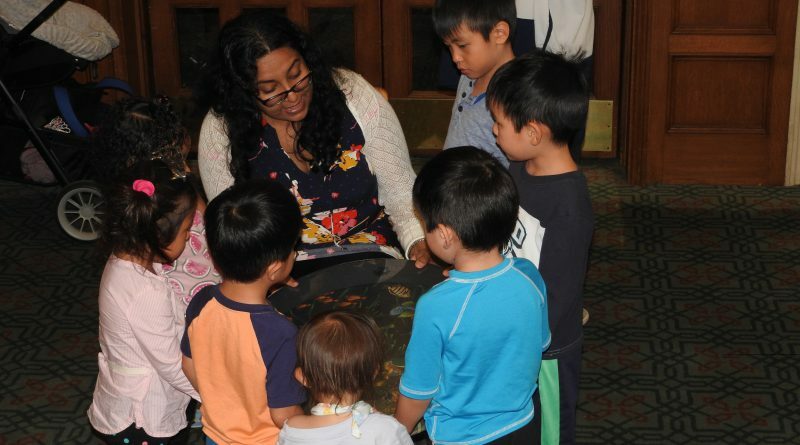 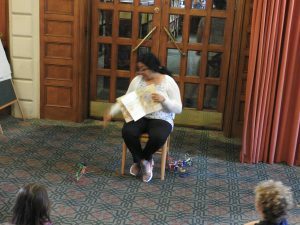 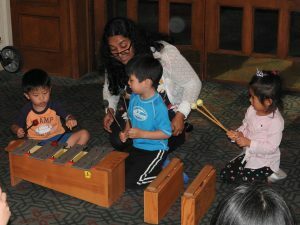 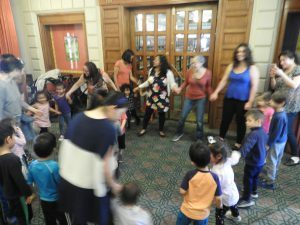 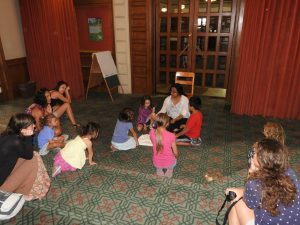 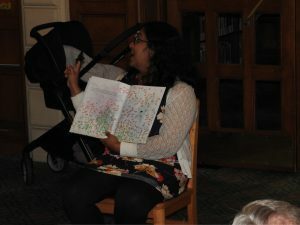 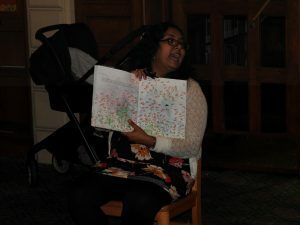 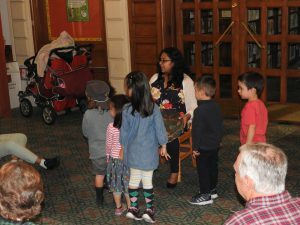 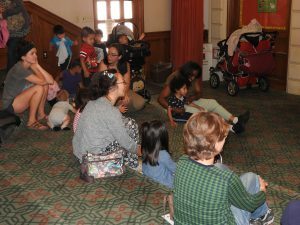 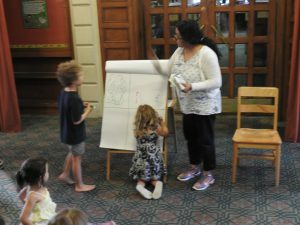 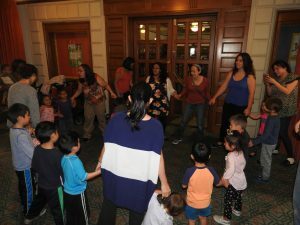 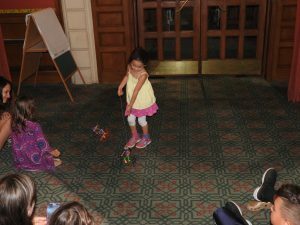 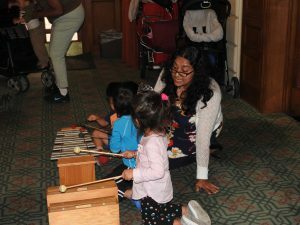 This past summer and in previous summers, music education specialist Dayita Datta presented programs that introduced children in preschool or elementary school to the fundamentals of music. 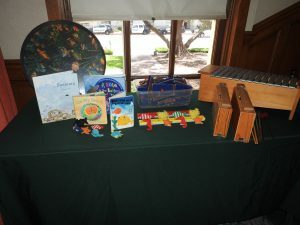 She engaged the children in rhythm and movement activities; taught the children about pentatonic scales; had the children playing melodies on a metallophone; exposed the children to concepts about reading sheet music, and the way we indicate whether a note is long or short, high or low; and even had the children writing their own song-pictures that the group sang and interpreted according to the rules of how sheet music is usually written. 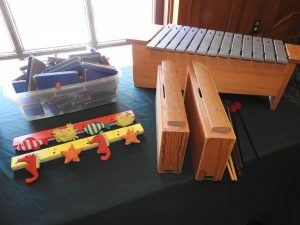 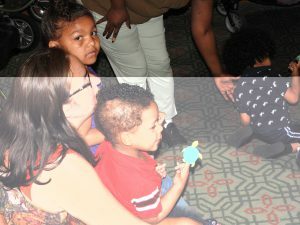 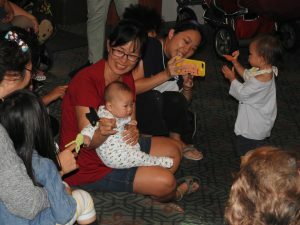 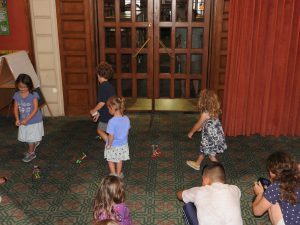 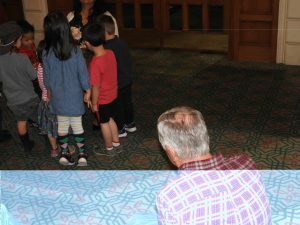 Kids played with different instruments, puppets, and other fun toys. 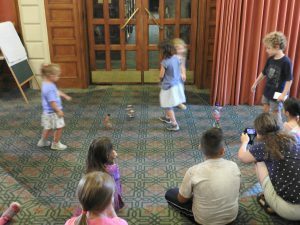 They went wild over the puppets. 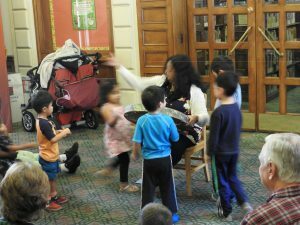 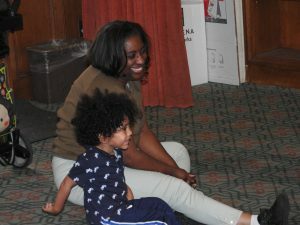 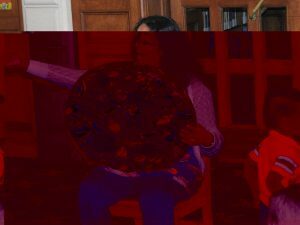 Dayita is great with kids, teaching them about music with a calm, graceful demeanor. 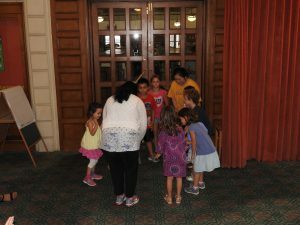 Here are some photos and videos from her classes here! 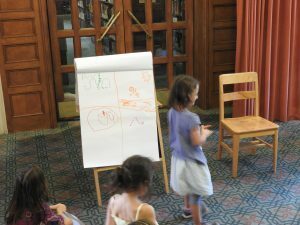 ← Writing Party: Get Your Toy Elected President!